It’s time to jump into one of the most popular packages The Podcaster Matrix has! The FTPerfect package provides you with storage space for your entire podcast library, on a lightning-fast, ultra-quick server. The process to access, deliver and link to is straight-forward, based on simple directory information. Are you already familiar with FTP? Need a refresher on how best to use it? Are you an OG FTP user and just need a login? 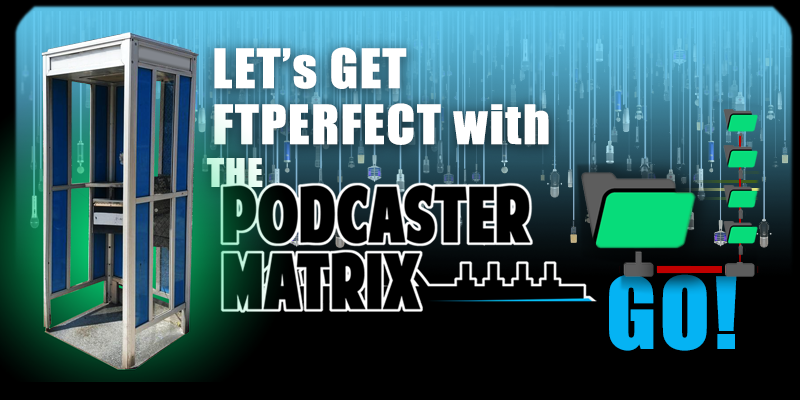 No matter what you needs, The Podcaster Matrix has you covered when it comes to FTP access to help deliver your entire podcast episode library to your new or existing listeners.